Obituary – Clark, Arthur Lee « Perry High School Alumni Association, Inc.
﻿Basket Ball ’23; Track ’21, ’22; Freshman Play ’19; Peroma ’23. ﻿Funeral will be at 2 p.m. Tuesday for Arthur L. Clark, 70, a resident of Green Valley Convalescent center, who died at 5:30 p.m. Saturday at South Community hospital at Oklahoma City where he entered Dec. 24. Rev. Don Harnden, pastor, will officiate at services at the First Presbyterian church. Burial will be at Grace Hill cemetery under direction of Parker Funeral home. Clark was born Aug. 18, 1905, at Reece, Kan., and came to Noble county in 1910. 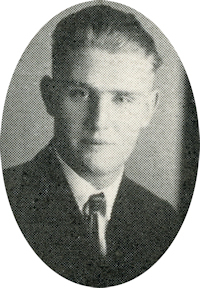 He was a 1923 graduate of Perry high school. Clark and the former Martha Weihe were married May 24, 1925, at Perry. 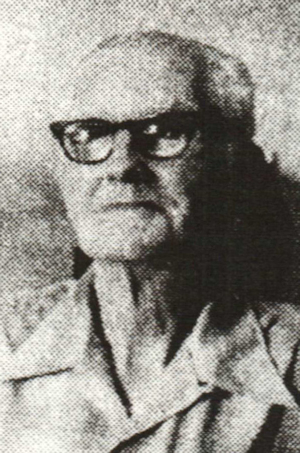 A bookkeeper at the Houston Lumber company for 19 years, Clark also served as Noble county deputy tax assessor for six years. He was a past deacon of the First Presbyterian church and a member of Modern Woodmen. In addition to his wife, Martha, of Perry; survivors include one daughter, Mrs. Luther (Margaret) Jones Moore; and two grandchildren Kevin Jones and Mrs. Jacquelyn Briley.